Preventative maintenance (PM) is usually triggered by a calendar date or meter reading (and sometimes a combination of both). There are pros and cons of each approach, but neither is perfect. 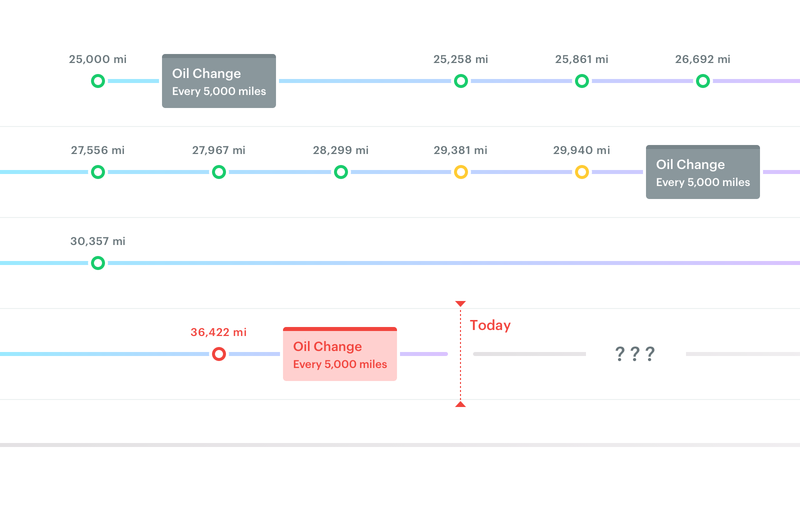 Let’s review the traditional approaches, then explore an even better way to predict and trigger preventative maintenance tasks with a usage-based approach. Routine schedule but drastically different usage between occurrences. Time-based plans are a great way to schedule seasonal PM tasks but aren’t very good for maintaining equipment components based on actual utilization. You’ll end up doing maintenance too often (over-maintenance) or not enough (under-maintenance) - both of which can be problematic and expensive. Relies on numerous, tedious meter readings. Too few readings cause late or missed PMs. No forecasting of future occurrences. Basing preventative maintenance off meter readings versus time is better for most PM plans because it is closely tied to the utilization of the asset instead of an arbitrary date. 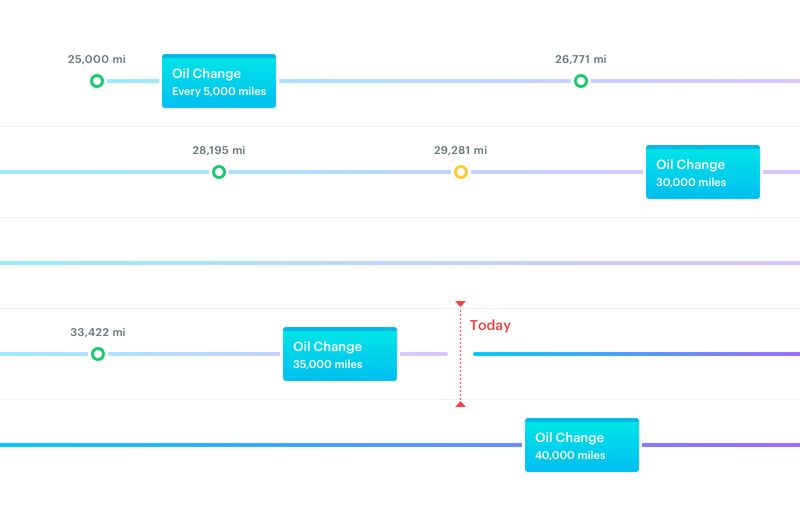 If a fleet truck needs an oil change every 5,000 miles, it’s better to do it based on odometer readings, not a recurring time interval. A meter-based approach can reduce over/under-maintenance but requires more overhead to implement. First, you need regular meter updates to trigger maintenance tasks - and getting meter readings is a big challenge. 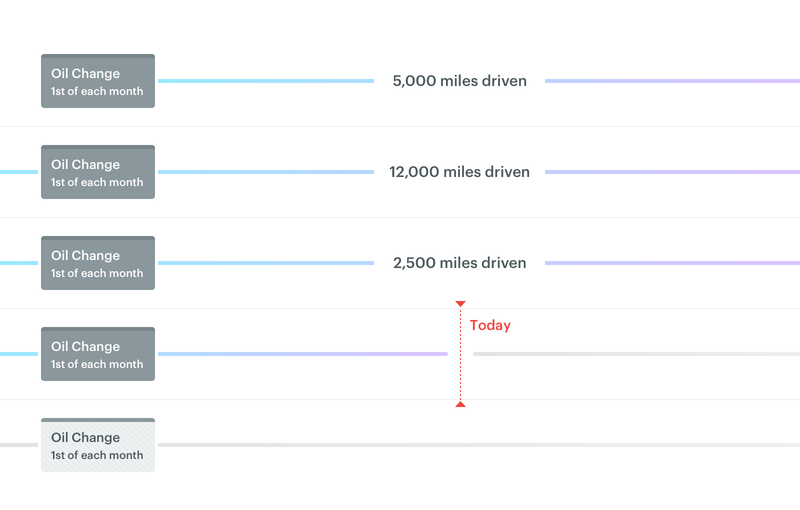 It’s cumbersome to chase down drivers for a current reading and it’s error-prone to relay the information into a fleet maintenance system from written reports or emails. Unlike time-based triggers, it’s very difficult to predict when an asset will be due for meter-based maintenance. PM tasks become due when a meter reading is near or beyond the next trigger point (the next due meter value). Since there isn’t an actual due date, it’s hard to plan when maintenance will be due using a calendar or simple fleet maintenance spreadsheet. Fewer meter readings needed. Future occurrences forecasted based on average usage. Usage-based maintenance (UBM) is a form of predictive maintenance (PdM). Similar to meter-based plans, maintenance is triggered based on actual utilization of an asset. However, true usage-based maintenance takes the average daily usage of an asset into account and uses it to forecast a due date. It will take 43 days (5,000/115) for the Oil Change to become due which lands on December 28. Usage-based maintenance is typically a better approach than just time or meter reading triggers since you get the best of both approaches: maintenance is triggered by estimated utilization and it’s easy to predict future occurrences! Preventative (scheduled) maintenance can be a great way to reduce costly, unplanned maintenance and shrink vehicle downtime. If not done correctly, however, you can end up under or over-maintaining your equipment. And there are definite overhead costs to implement a PM program, depending on the complexity and number of assets. 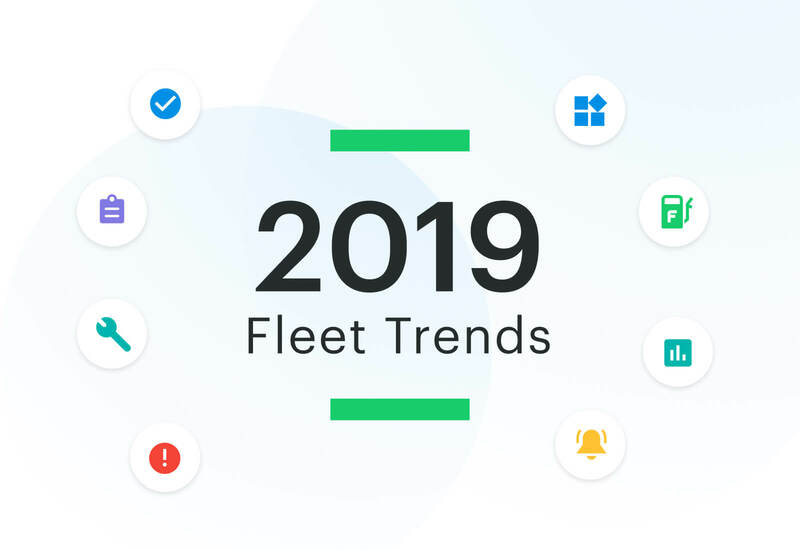 Using a fleet maintenance software like Fleetio that supports usage-based preventative maintenance is a great way to ensure assets are properly maintained with minimal overhead. Plus it gives you forecasting capabilities to plan and budget for future maintenance.